AC contactors are widely used in electric drive systems. As a control device for frequently connecting or disconnecting load circuits, AC contactors are electrically operated for remote operation and automatic control systems. ATO offers you a range of 3-poel or 4-pole AC contactors, bypass, with rated working current from 9 to 95 amps for options. It has the characteristics of high quality and low price, long life, simple operation, small size and high safety. Come and choose the right product for you. 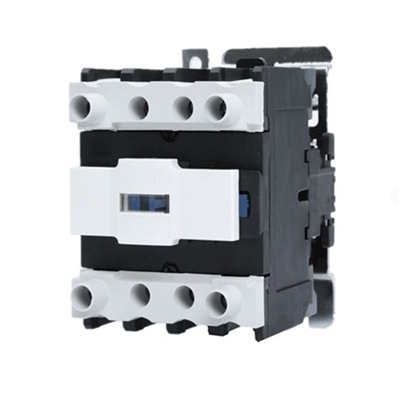 3 pole AC contactors has the advantage of small volume, light wight and low cost. With coil voltages of 24V/110V or 220V, rated current 12A/380V, 9A/660V, bypass. Rated insulation voltage is 390V, factory direct sale and free shipping. 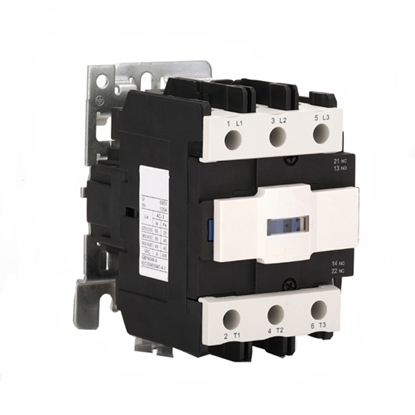 AC contactor is mainly used for AC 50Hz or 60Hz, bypass and it is avaliable with contact form 4P(4NO) or 4P(2NO+2NC). When used in AC-3 380V, the rated current is 40A. When used in AC-3 660V, rated current is 34A. Favorable price and high safety. 65A ac contactor is available for 24V/110V/220V coil volatge, 4 pole, with rate current 65A/380V, 42A/660V. Low cost, high reliability and brand new, direct sale by manufacturer. Good value for money. 4 pole AC contactor has a wide coil volatge available for the selection 24V/110V/220V, bypass. When used in AC-3 380V, the rated current is 95A, when used in AC-3 660V, rated current is 49A, 4P(4NO) or 4P(2NO+2NC). Economical price and high quanlity.